The Association of Dance Conventions & Competitions is united to promote quality, integrity, and opportunity within the dance competition and convention industry. 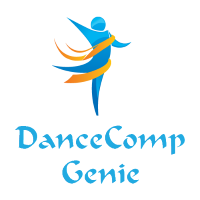 The Association of Dance Conventions and Competitions (The ADCC) is a national nonprofit trade association for the dance competition industry governed by an 11-member Board of Directors and managed by Blue Sky Thinking, LLC, based in Sarasota, Florida. Our Members include Dance Conventions and Competitions, Dance Studios, Judges, Professional Dancers and Dance Vendors. We provide professional and business development, networking opportunities, group buying discounts, marketing opportunities, Studio of Excellence, Industry Excellence and Lifetime Achievement Awards, The Competitive Advantage magazine, and College Connections, a scholarship program. Exciting recent ADCC initiatives include a new ASCAP class that covers dance competitions with a much lower annual fee based on total annual attendance, along with great professional development and money-saving opportunities for member competitions at the ADCC Annual Meeting & Gala in September. The ADCC is governed by a 10-member Board of Directors and managed by Tammy Hauser, CEO of Blue Sky Thinking—Nonprofit and Association Management Consultants based in Sarasota, Florida.